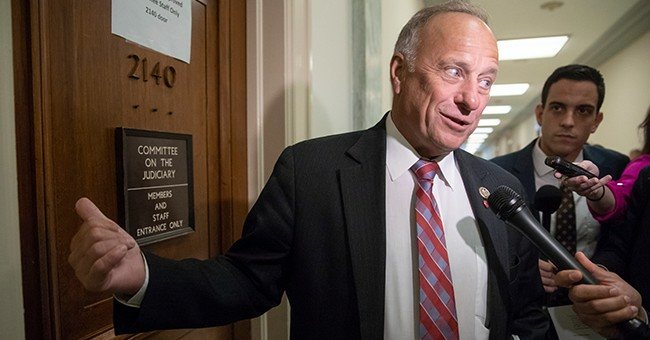 Rep. Steve King (R-IA) has come under fire for asking when the terms "white supremacist" and "white nationalist" become offensive terms. Republicans have chided him for his remarks but the Congressional Black Caucus has a form of punishment for King: removing him from all of his committee assignments. "If Republicans really believe these racist statements have no place in our government, then their party must offer more than shallow temporary statements of condemnation," said CBC Chairwoman Rep. Karen Bass, D-California, in a statement. "Instead, they must actually condemn Mr. King by removing him from his committee assignments so that he can no longer affect policies that impact the very people he has made it clear he disdains." Although King has come under fire for the remarks made on the House floor, he has yet to apologize. CNN asked King if he was concerned about having committee assignments pulled from him. His response was rather nonchalant. "I've heard nothing like that -- why would anybody do that?" King asked the reporter rhetorically. King also told CNN he had no concerns about whether or not the National Republican Congressional Committee would endorse him. "They never have -- that's nothing new," he said bluntly. "Republicans should make clear Mr. King is no longer welcomed in their party or Congress. Anything less than these substantive actions is another tacit acceptance of racism from the Republican Party," Bass said. Fellow Iowan and Sen. Joni Ernest, who had previously endorsed King, publicly condemned his comments. And Minority Leader Kevin McCarthy has plans to meet with King over his "future in the Republican Party."